- replace Domestic Rates with a Poll Tax (or something pretty close, like Council Tax). - sell off social housing. These clearly hurt low or non-earners the most, and more subtly, taxes on output and employment are the most economically damaging and ensure that there will always millions of people capable of working who are out of work. The tax and welfare system outlined here is pretty much the opposite of all that. As regards the first bullet point, see also Tenants will end up paying nothing. They’ll always vote for increases. It's either one or the other, but it can't be both, and in fact it's neither as the two arguments cancel out. Similarly, the collapsing revenue theory says that "Everybody will cram into the smallest houses, so not much tax will be collected". 1. "Landlords will pass on all the tax to their tenants"
This argument is the most infuriating of all as it completely ignores (a) observed facts, (b) economic theory, (c) logic. And even if it were true (which it isn't), (d) so what? Tenants would still end up better off. It is also largely crocodile tears as three-quarters of privately owned homes are owner-occupied, so it's a bit of a red herring anyway. What can add to the confusion is the fact that the basic economic theory only holds if LVT is an additional tax. If LVT is matched with corresponding tax cuts on output and employment, tenants' net incomes will increase, which will increase rental values and hence rents; so it looks as if landlords are 'passing on' the LVT when actually they are just increasing the rent in line with what tenants are willing and able to pay. But even if LVT is a replacement tax, it bring a flood of homes onto the market when people "right-size" (be that up- or down-sizing), which will tend to level rental values downwards. 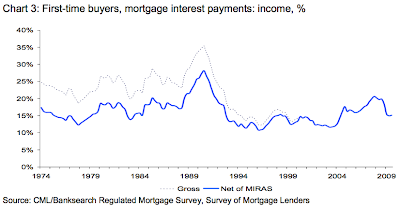 It is widely accepted that higher interest rates = lower house prices. It is difficult to show this with data because periods of higher interest rates tend to coincide with periods of high inflation, so real interest rates are lower than nominal ones and when people fear inflation, they tend to "invest in bricks and mortar" rather than cash. And the amount of easily available credit is just as important as the rate. Nonetheless, the basic assumption is correct. This is because potential first time buyers are tenants and their rent is fixed ("rents are the Maypole around which house prices dance"). They will only buy a home if the monthly mortgage payments are roughly in line with the rent they are paying. 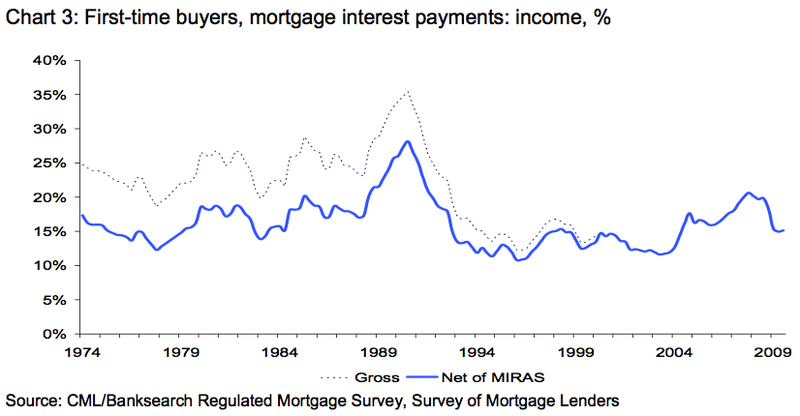 So the amount of monthly mortgage payments are also fixed and the amount of money they are willing to borrow to buy a home is simply the inverse of the interest rate. We know that rents don't go up (or down) when interest rates go up (or down) because otherwise, the basic rule that house prices go up when interest rates go down would not hold! And LVT will just act like a higher interest rate. So rents will stay the same and house prices will go down (unless LVT replaces taxes on income, which means that rent would go up a bit... see below). Quite simply: any tax is borne by whoever is less price sensitive, the quantity demanded by consumers or the quantity supplied by suppliers/producers. Applied to commodities, this logic leads to Ramsey's Rule. So a tax on tobacco (demand is little changed by increases in the total price, but suppliers have a minimum price which they need to receive in order to stay in business) is borne by smokers. And a tax on discretionary consumer spending generally (like VAT) is borne two-thirds by the supplier (being the whole chain from retailer back to manufacturer) and only one-third by the consumer (evidence and workings here). Tenants are price-sensitive, they don't want to waste all their money on rent and will tend to choose the cheapest accommodation and will share if necessary. And the landlord? He cannot vary his output one jot, one home is one unit, either he rents it out at anything up to market rates (and we can safely assume that most of them do) or he demands more and receives nothing. If he is has fixed costs associated with that home (be it mortgage repayments or LVT) then he does not have the luxury of withdrawing the home from the market and leaving it empty, he has to rent it out for as much as he can (market rates). This is often expressed with supply-demand curves, see e.g. Wiki. We also know that rents are dictated local average wages (after deducting PAYE), minus the basic cost of living (rents take the surplus), adjusted for commuting distance from where those wages can be earned, plus a bit if it's a nice area minus a bit if it's a grotty area. That is the beginning, middle and end of the matter. The landlord's actual cash costs are more or less completely irrelevant. As long as the actual or potential landlord can collect more in rent that it costs to provide and maintain the building he will rent it out (if not, he will abandon it). If the rent is more than the maintenance costs, the balance is the site premium (or the location rent or whatever you want to call it), so the tenant pays rent sufficient to cover the cash costs and the site premium on top. If the government now decides to tax away the site premium, that is between the government and the landlord, this does not change the rental value of the location; the amount of rent which the tenant will pay is the same and so the landlord bears the tax. His remaining rental income after tax is, by definition, still enough to cover the maintenance costs and so he stays in business. Instead of the government taking half the gross rental income in LVT, what happens if there is a divorce situation and the government awards half of one spouses' rental income to the other spouse as maintenance? Does the newly divorced landlord go round to all of his tenants and tell them that there rent will be doubled to keep his net income constant? No of course not, he can't. Even if the claim is correct (which it isn't) and landlords passed on every penny of the tax, tenants would still end up noticeably better off. If rents were capped at current levels, tenants' savings would be all the greater. The online tax app shows that most home-owners (who have to bear the tax) will be better off, so even if every penny of the LVT is 'passed on' tenants will see the same tax reductions. 1a. "Low earners will be forced out of nice areas and will be forced to live in ghettoes"
This is rank hypocrisy of course. The whole Home-Owner-Ist system is designed to take away as much of people's earned income in tax and in rent as possible, clearly, somebody starting out today has to make do with being stuck on the bottom rung; low earners are already "forced" to live in cheaper areas. a) The Homeys then take a hardship corner case (often plucked out of thin air), somebody who bought an average house when he was on an average wage ages ago; since then his earned income has fallen and his house has shot up in value because of Home-Owner-Ism in general and gentrification in particular, claim that this person would not be able to afford the LVT (which is only true in a tiny minority of cases and assumes that the person cannot take evasive measures, like earning a bit more, taking in a lodger etc). b) With or without LVT, when that low earner's house is eventually sold, to whom does it get sold? To another low earner for a low price? I don't think so. Worst case, LVT speeds up the process of gentrification; and why shouldn't those people who are prepared to pay most into the common fund for everybody's benefit get to live in the nicest housing? Why is it preferable for the new arrival to hand over his hard earned money to the unproductive sector? c) The Homeys then warm to their theme and merrily claim that all "poor" people will somehow end up worse off, which is clearly nonsense. Most low earners live in low value housing, or they rent, and they will be among the big winners from the tax shift (try the spreadsheets!). c) The difference between "nice" and "grotty" areas has little to do with the physical architecture, it is mainly to do with the people who live there. You pay a bit extra to live among "nice" neighbours and get a discount if you are prepared to live near less desirable neighbours. LVT itself will put pressure on land owners to maximise the availability of good quality housing at an affordable price; it will give each council an incentive to concentrate on making their areas as desirable as possible, and with an end to means testing of benefits and lower taxes on productive activity there will be more jobs and hence fewer "poor" people anyway. So to sum up, when half of tax revenues are collected via LVT; taxes on earnings significantly reduced and LVT receipts matched with Citizen's Income payments, there will be fewer "poor" people and better and more affordable housing. So by and large, those people who are currently "poor" and overpaying for housing will end up better off, in better quality housing among nicer neighbours. It seems insane to condemn one hundred people to this for ever more for the benefit of each individual human shield (the "asset rich, cash poor" who features so often in these discussions). 1b. "What if somebody loses his job? How will he pay the LVT?" Let's gloss over the fact that the two-thirds of the population have exactly this problem with rent or mortgage payments (i.e. privately collected LVT) and that somehow or other as a society we cope with this (via mortgage holidays, housing benefit or mortgage subsidies, social housing etc), it's not a big problem if you look at the numbers on short term unemployment. As at 2017, the unemployment rate in the UK is about 4%, and half of those are short-term unemployed (less than six months). So one in fifty people are between jobs at any one time. A lot of that is probably 'voluntary' and many of those will have a partner who is still in work and who can pay the LVT. As long as there are rules in place to distinguish between a) people whose employer has gone out of business/who have been made redundant through no fault of their own/are likely to find another job soon; and b) general shirkers/the long term unemployed, we would simply exempt the short term unemployed from from LVT. A crude way of doing this would be to give people a cumulative six-month exemption in any rolling five or ten year period, or whatever, which they can 'use' if they are made redundant. There is no perfect right or wrong formula. So there would be a non-collection rate of 1 - 2%, which is no lower than for any other tax anyway, tuppence ha'penny in the grander scheme of things and a great reassurance to everybody in general. And for the long term unemployed and sporadic earners, there's always social housing (which is like LVT and a Citizen's Income rolled into one). 2. "Low earners will be forced to sell their homes to rich people who will end up owning all the land, so ultimately, it will benefit the wealthiest landowners/lead to a greater concentration of land ownership"
a) Back in 1909 when eighty or ninety per cent of people were private tenants and LVT was seriously on the Liberal government's agenda, the counter-campaign was mounted by the large hereditary landowners in the House of Lords of course, they wanted to keep all the rent for themselves (to the extent of triggering a constitutional crisis). The situation is no different today, it is the same vested interests (and the bankers) who are fighting against LVT (or Mansion Tax or Council Tax rebanding or Business Rates revaluations). If LVT would really enable them to re-acquire all the land cheaply and make even more money by renting it out again, why wouldn't these powerful people be subtly campaigning for it? b) Owner-occupation rates in the UK rose fastest between 1950 and 1970, from 30% to over 50%. What were we doing differently? Rents were capped; rental income was taxed at higher rates than earned income; there was lots of new construction (social housing and for private purchase); mortgage lending was strictly rationed and we had Domestic Rates, which were much higher than Council Tax on all but the smallest homes and Schedule A tax, which between them were something approaching a modest LVT. There just wasn't much point being a landlord as you couldn't make much money from it. Rent controls are a crude way of preventing concentration of ownership of land, so the arguments for them overlap with arguments for LVT. c) Since 1997, the period of extreme Home-Owner-Ism (fuelled mainly by easy credit and low interest rates; a reduction in new construction; modest real reductions in Council Tax; and savage tax hikes on the productive economy) owner-occupation rates have been falling. The number of private renters has doubled from 10% to 20% over the last decade, and is likely to rise further. After Council House sales petered out in about 2002, owner-occupation rates peaked at 72%. Since then, the percentage of owner-occupier households has fallen to 63%, its lowest level since 1985. So it's clear that Home-Owner-Ism leads to land ownership being concentrated in fewer hands and more rent being collected by fewer people (top bankers). What evidence is there to suggest that LVT, which is the opposite of Home-Owner-Ism, would accelerate rather than reverse this trend? None or negative? d) On the facts, it will always be cheaper to be an owner-occupier than a tenant; you'll be (say) £4,000 a year better off once you've paid off the mortgage. So there is nothing to be gained by selling up and then renting a similar sized house. If low earners trade down, then by and large the purchasers will be owner-occupiers themselves, albeit slightly higher earning ones. 2b. "Low earners will all end up homeless"
What they can't explain is why profit-hungry landlords would want to be paying the LVT for the millions of empty homes which they own. 3. "Landowners will evade the tax by registering land with offshore companies"
Again, nonsense. People who say things like this have just illustrated that they know nothing about the UK tax system. a) In 2013-14, the UK introduced an annual tax on high-value residential land and buildings which only which initially applied to homes worth £2 million (since extended to apply to homes worth £500,000 or more) which are registered in the name of "non-natural persons", which means companies (whether UK or offshore), partnerships including a company, collective investment schemes and so on. The tax is about 1% of the value of a home at the bottom of each band, so £3,500 a year for homes worth £500,000 to £1 million, up to £220,350 for homes worth more than £20 million or more. The tax was implemented without too much of a hitch - doing the valuations, sending out bills etc - and in the first year of operation, the amount of tax collected was five times as much as originally forecast. Do the Homeys who trot out the argument seriously imagine that the UK government has just invented a tax which would have had a 100% evasion rate? b) There's no need to debate what-if scenarios as we already have a tax which is so close to LVT (administratively) as makes no difference, namely Business Rates (aka National Non-Domestic Rates) which are a flat tax on the total rental value of commercial land and buildings with no lower or upper limit. Officially, the rate is calculated at 46.6% - 47.9% of the rent net of Rates, which means the tax is about 32% of the total rental value (including rates). We know that plenty of larger commercial sites are owned by foreign companies, or insurance companies who know a thing or three about tax havens. And plenty of commercial sites are in fact owned by non-UK companies (for other reasons, mainly to do with Stamp Duty Land Tax, a tax on transactions and thus relatively easy to avoid/evade). By the end of March 2017, local authorities in England had collected £24.2 billion in non-domestic rates for 2016-17 which gave a national average in-year collection rate for non-domestic rates of 98.2% in 2016-17, the same as for 2015-16. Those collection rates leave all the other taxes standing; the official 'tax gap" figure (total evasion, avoidance and non-collection) for income tax, VAT, corporation tax and NIC is about 6.5% of the tax that should be collected. Experts believe this figure to be an underestimate, and it does not include collection costs and the compliance burden on the private sector. Why might this be? For the blindingly obvious reason that you can't hide land and buildings. As it happens, the Rates are collected from the occupant if there is one and from the owner if the building is vacant; if the owner runs up large enough arrears the council can simply take a charge over the land title and sell it. I don't think that this happens very often, it would appear that the simple threat is enough. 4. "Wealthy people will avoid the tax by moving into one-bed flats"
I might be missing the point here, but I think someone is suggesting that we abolish taxes and just levy tax on land?!? If Richard Branson rented a one bedroom apartment he would thus pay zero tax, is that seriously what is being suggested? "If he rented a small flat in a cheap area, then yes, he would pay next to no LVT (or tax in general). But it is highly unlikely that very wealthy people who need to show off would do so – they can already save themselves a fortune in rent or mortgage interest (or free up cash for more profitable investments) by trading down into a one-bed flat in Newcastle, but they don’t. "That’s like saying “If we have VAT on new cars, then Richard Branson would start using the bus or walking to work” or “If private schools started charging £10,000 or £20,000 a year, then people like Richard Branson would send their children to state school instead” or “If we have tax on tobacco, then people like Branson would stop smoking and not pay any”. "As it happens, Mr Branson derives a lot of his income from rents [Heathrow landing/take-off slots) in the first place, and so he would end up paying tax on all this at source. What he does with his net income is entirely up to him. And as it happens, I assume that he doesn’t smoke and hence pays no tobacco duty, and good luck to him." i. For future subsequent owners of land, the LVT is quite simply not a cost at all, because the upfront price they are willing to pay will be reduced by the future LVT liabilities on that site (rental values will be pushed up when taxes on output and earnings are reduced - quite what the net effect will be is unknown and largely down to psychology). ii. This is the same as the basic observation that higher interest rates increase the future cash outflows for people who buy with a mortgage (or increase the opportunity cost to somebody with cash in the bank) and so depress the price of land. So somebody looking to buy a home with a mortgage in the near future is actually indifferent to interest rates, low mortgage rates are only good news for people with existing mortgages and net sellers. iii. So whoever is the next purchaser after LVT has been introduced is indifferent, assuming that people with similar housing budgets are bidding for the same home, whatever extra he has to pay in LVT reduces the amount he is able to pay in mortgage interest but it reduces the amount that other bidders are able to pay in mortgage interest as well, so the LVT reduces the amount which the winning bidder has to pay in mortgage interest, and hence pushes down the price of the home accordingly. And when he sells again in a few years' time, the same applies. iv. Another way of looking at this is to say that actually LVT is not a recurring tax, it is a one-off levy on today's landowners which will be paid in instalments out of what the future sales proceeds of that land would have been in the absence of the tax. v. So really, we don't need to speculate on the likelihood of Richard Branson "renting a one bedroom apartment" and it doesn't actually matter. We can safely assume that as at today's date he owns a very nice home or three in the UK, all of which will be subject to that one-off levy (but payable in instalments). The chances are, he will continue living in the UK in one or more of these homes (because the future income tax saving he can make by living in the UK rather than anywhere else will make it worthwhile and easily cover the LVT). vi. Maybe Richard Branson will sell one or more of his UK homes and superficially, the next owner will be paying the LVT. So what? The LVT doesn't really cost the next owner anything (as explained), the whole cost is shuffled backwards onto Richard Branson. If we replace the worst taxes on output and employment (VAT and NIC) and most existing taxes on land and buildings (Council Tax, Business Rates, SDLT, inheritance tax, capital gains tax etc) with LVT, then most productive businesses - including multi-nationals - would be paying far, far less tax then they are now. So if anything, multi-nationals and their higher-paid executives will be falling over themselves to relocate to the UK, not the other way round. NB, all the much touted "relocations" like WPP were merely them shifting their head office abroad so that income earned outside the UK would not be taxed when it was brought back to the head office, they did not actually shut down all their UK operations. Like most countries, the UK now has a more or less complete tax exemption for profits earned abroad and brought back onshore, so that's not really an issue any more. You make a very compelling case for shifting taxes onto the unearned value of land, but I'm still trying to get my head around one or two elements. One thing I'm struggling to see is how exactly tenants would be better off under the LVT system you propose. I get that they'd be no worse off; landlords can't pass on the LVT, as rents are already set at pretty much the maximum a tenant could afford. But where do they benefit? They would no longer have to pay council tax, but this just means that the landlord can increase their rent by an equivalent amount. Reducing VAT, NI, income tax would boost their earnings and spending power, yes, but wouldn't this also lead to rent increases? Didn't you, somewhere in this blog, explain how all taxes are ultimately derived from rents? I've actually been a big fan of the citizen's income idea for a while, but what is there to stop even this, if it does effectively boost the income of low-earners, from being swallowed up by rent rises? Of course, I may have missed something basic here; economic theory really isn't my strong suit! Mike, it will reach an equilibrium. The calculations are all very circular, so it is easiest to start with the end result, which is that the rental value of the lowest value areas will still be £nil, rental values in prime prime areas will be even higher than now, there will be more wealth (less tax on income) and less inequality (tax concentrated land ownership instead of more evenly distributed incomes). And the CI will NOT push up rents - it is Housing Benefit that does that. OK, I've read a little more, and starting to get it, now! The Citizen's income needs LVT to work. Otherwise, there's nothing to stop any rise in tenant's incomes being swallowed by higher rents. With 100% LVT, landlords have no incentive to push for higher rents, as this will be reflected in higher rental valuations, and therefore a higher tax bill. Even if landlords collectively fail to realise this, and conspire to raise rents through some sort of unspoken agreement (or evil landlord's cartel! ), the government would see a big increase in LVT revenue, which it could use to fund higher CI payments, offsetting any difference. To be clear, then: under such an LVT/flat-tax scheme, we would expect to see a significant fall in house prices, but not rents? On the other hand, you mentioned that housing benefit pushes up rents (being essentially a subsidy to low-end landlords). Do you propose to keep housing benefit as it is, or to phase it out in favour of a higher CI? While instinctively I would approve of ditching another bureaucratic, means-tested benefit, wouldn't there be some undesirable consequences, such as forcing low-earners or the unemployed out of London to seek more affordable rents. Mike, yes, ultimately LVT and CI go hand in hand, by definition. But it is wrong to suggest that it would be an endless upward spiral. All citizens get their share of land value and they can spend it as they please. So it quickly reaches an equilibrium. Rent is not the only thing a household can spend its money on. So a household might be prepared to pay £5,000 a year more to have one or two extra rooms or a bigger garden - and in turn they sacrifice having two nice holidays a year, or getting a shiny new car every four years, or working fewer hours. And some households will be prepared to pay an extra £5,000 to move from a 'grotty' area to a nice 'area'. But that differential can't go beyond £5,000 because otherwise more households will say they prefer two holidays a year, or a regular new car, or working fewer hours or whatever. As to 'Housing Benefit' in the narrow sense, I looked at this with the Citizen's Income Trust and the only way forward is to keep it as a separate benefit for the time being, and then gradually reduce it in line with increases in the basic Citizen's Income until it disappears after a few years. Thanks, Mark, but if CI is set at a fixed level nationwide, how can we compensate for the vast regional differences in rent? Doesn't an LVT system actually require significant differences in rental value, in order to enforce the best use of scarce urban land, and encourage development of marginal sites? Would a possible solution be for the government to buy up properties for social housing use. If many private landlords decide to give up and sell due to the LVT, it would present a good opportunity to acquire houses cheaply (lest, heaven forfend, we actually have to build some). People will probably always aspire to owner occupation, but I suspect this will remain impractical for some, such as the unemployed, who won't be able to raise enough of a lump sum to be able to buy. Ultimately, l guess I'm a little concerned that home owners will remain unfairly advantaged under an LVT system, whereas there will always be a need for good quality, affordable rented accommodation. Mike, a CI has to be set at a national rate for economic and practical reasons. And yes, social housing is always a good sticking plaster for a number of problems, much better than e.g. Housing Benefit. Further - if all housing were council housing (like in SIngapore) then there would be much less need for LVT in the first place. LVT is only needed where land is privately owned. There are other crude substitutes for LVT like rent controls and mortgage lending restrictions. I'm getting the impression that an LVT/CI system would work best if all housing was either owner-occupied, or rented from a social landlord. Social rents would be, by definition, affordable - and could possibly even be fixed nationally. Hey, I'm not saying I disagree, but is this actually what you are arguing for? Mike, do you mean a stark choice between either ALL owner-occupied or ALL social housing? I see nothing wrong with some sort of mix, 20% social, 10% private rented and 70% owner-occupied, that worked perfectly well in the UK until Thatcher-Blair came along and introduced Home-Owner-Ism. No, sorry, I was thinking of a mix, but actually more along the lines of 25% social, 75% owner-occupied. Is there really any reason why we need a private rental market? If LVT lowers house prices to within the reach of the majority, and there is sufficient social housing to take care of the rest (where rents can be controlled without reducing quality), who would need it? Mike, who would need it? People who only want to live somewhere for a couple of years, like students and so on. That's where I get my ten per cent figure from - if everybody lives for fifty years after leaving home and spends five years renting while studying, first low paid job, short stays in a different town etc, that's ten per cent. The point is that private tenants are not losing out, house prices are not running away from them and the rent is also affordable. I would have thought students would be exactly the sort of people who would benefit from social housing (in some form - maybe provided by the university, or LEA, or whoever), being mostly dependent on the CI. But yes, I take your point; it's probably not necessary to totally eliminate private renting. An LVT system, together with an expansion of social housing, would reduce renting to the minimum necessary. Which is fine, as long as the people who do rent are happy to do so, because they derive some benefit from it (eg the flexibility to move at short notice). What's not fine is the current situation, where renting is an insecure and expensive alternative to unaffordable house prices, or unavailable social housing. Mike, yes actually you are quite right on students. Why not have university or council-owned halls of residence which undercut private landlords by £10 a week? That's free money for the university or local council. We can do the same for people who left school earlier and are doing an apprenticeship or other low-paid starter job etc. I don't have an argument against an LVT, but I do have an alternative to suggest, based on 1) the problem that the LVT addresses is unearned income, 2) unearned income can be made by many ways other than property rights, 3) 1,000 people making $1,000 of unearned income is as bad as 1 person making $1,000,000 of unearned income, and 4) all other things being equal between 2 investors, the one making a higher rate of return does less to earn his income. The alternative would be to tax capital gains and rentals at a rate proportional to the rate of return, rather than the amount of income. Specifically, the rate should be profit divided by total return which approaches but never reaches 100%. So a person making $100 on a $1,000 investment would pay a 9% tax, while a person making $100 on a $10 investment would pay a 90% tax. The tax on the rental of unmortgaged property would potentially be very steep. Capital gains should be taxed based on the annualized rate of return, which would discourage speculation. Businesses should be taxed at a rate approximating their operating margin, which would discourage the practice of passing on costs unrelated to production on to customers. With this scheme there would be no need to assess property values, a process that is often abused. However, the effect on landlords would be much the same as an LVT while the effect on speculators could be much greater. The tax would be self-adjusting, which would potentially remove a lot of hot air and hand-wringing from the political process. There would also be no need to identify other sources of unfair advantage, or in other words, exclusive licenses, and tax them individually. The scheme assumes that unfair advantage is reflected by the rate of return. The scheme would also tax unfair advantages like price fixing, which can't properly be licensed. I agree wholeheartedly with the principles behind the LVT, but I don't think it's comprehensive enough, and I think it's too subjective. So this is my meager attempt to come up with a way to prevent the unfair distribution of wealth. Thanks for your patience. EH, thanks for that, but it seems a bit complicated and wouldn't actually raise much money. The point about LVT and taxes on other monopolies (banking, broadcasting) is that there would be no unearned income or unearned capital gains in the first place. For sure, there would still be speculative gains here and there, but they would largely be matched by speculative losses suffered by other speculators and the man in the street is entirely unaffected. Mike what is your viewpoint on using all or part of the LVT income to build homes? Or to produce a sovereign wealth fund from LVT revenues, invested collectively for society, with dividends from the fund being the citizen's income? You can use the LVT income to pay for anything which is of overall benefit to society, which includes a certain minimum amount of council housing. But if something is worth doing, it doesn't matter how it is financed. We need a certain minimum amount of council housing, but it pays for itself out of future rental income so that could be paid for out of borrowing. And before we start thinking about Sovereign Wealth Fund, we have to pay off the Sovereign Poverty Fund (i.e. accrued government debt). 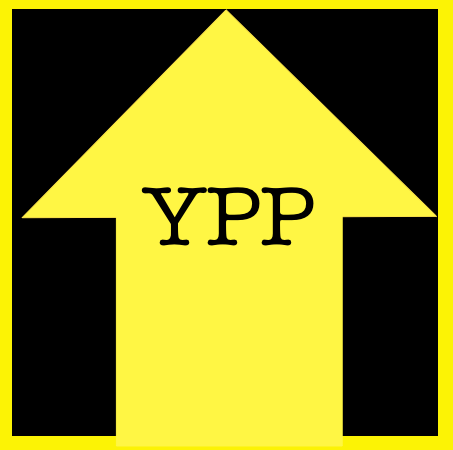 Get back to me after ten or twenty years of a YPP government when the national debt is paid off, and then we can discuss. PT, that is not an "argument" against LVT, that is the actual reason we don't have it. I can defeat an "argument" with logic, but I can't counter hard facts such as "people select politicians who they think* will best preserve their own narrow interests". * People are stupid and the bulk of the population is paying a large amount in taxes on earnings and spending in order to receive a small amount of untaxed and unearned rental income, so for most it is a negative sum game. The real reason is that the top couple of percent - who really do make a profit from Home-Owner-Ism - have tricked everybody else into thinking that it is possible for everybody to benefit from Home-Owner-Ism. The idea of taxing the exclusive right to use a public resource (land) and not earned income is genius. LVT embodies everything good about conservatism and capitalism. An individualist choice doctrine that rewards effort, encourages personal responsibility and small government. LVT, as an inclusive all encompassing tax to replace all other taxes, it would kill the tax avoidance industry in one fell swoop, attract the industrious and level the property market. Undoubtedly tax revenues would increase for that reason alone.